Gawd this press release rocks! Can you make it 'rain'? This million dollar earner wants to help you! Full time 9-5 working dad makes $1,200 in 3 weeks! MINDSET, the RIGHT COMPANY, and the RIGHT TEAM makes all the difference!!! About 3 years ago, I signed up with a popular and highly successful network marketing company. This was my first experience in network marketing and it became my personal nightmare. Right out of the gate it was a disaster for me. I could not keep up with all of the different tasks, trainings and interactions that were required to be successful. comes from our "Baby Boomer Generation" I feel an obligation to help baby boomers inside our space. Since I failed so horribly the first time, it has given me some insights on how I can help other baby boomers avoid those same pitfalls. My return to the industry has been completely different in that I have made more sales and learned how to really engage others in sharing who I am and what I do. My journey to network marketing began like I stated 3 years ago and I was working for a consulting company in Los Angeles where I have lived for the past 10 years. 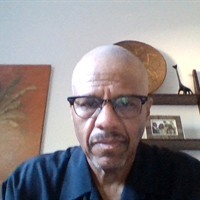 I have been a program coordinator for a small business enterprise and construction training programs offered by the school district here in LA. Previously, I created a 25 year career as an architectural draftsman in Boston. I even started an architectural drafting consulting company named “Measuring Up”. Although I enjoyed the drafting I disliked the nature of the design and construction industry. It was always temporary work with no pension plans in place at the architectural firms that I worked. Sadly, I sacrificed 25 years of my life and do not have retirement package other than Social Security that will only give me $1900 - $2000 a month. Now you see why I chose network marketing to bail myself out of this financial dilemma. I found that this is the recipe for success as long as you are open to the teaching and coaching by someone who is younger than us baby boomers. In this recipe, I learned that I needed to be more prepared to master the basic day to day computer functions that will assist me in building a successful business. I also had to take the time to understand how to use the social media sites like: Facebook, Twitter, Instagram and IBOToolbox! As a baby boomer that has experienced a lifetime of working for someone else and building their businesses I can relate to what you are going through. I know I can help you and all you have to do is click on my business link below.